Lake Hammock Village is an elegant lakefront community in beautiful Haines City, just 18 miles from Orlando. The area is abundant in mature trees and wooded areas, attracting many birds, including Sandhill cranes. Bird sanctuaries and the picturesque 200-acre Lake Hammock are the focal points of this scenic community. The lake is the perfect spot to launch your boat from our private ramp and spend the day fishing, boating, and picnicking. Amenities at Lake Hammock Village include a heated swimming pool, spa, shuffleboard courts, and horseshoe pits. There's always plenty to do since residents have their own activities committee to plan trips, pot luck dinners, bingo, cards, aerobics, crafts, and other activities. Location is an important part of this central Florida community. Our residents enjoy being 17 miles away from many famous attractions, including Walt Disney World, Epcot, and Universal Studios. For those who enjoy traveling, the Orlando International Airport is just 35 miles away. Built in a private neighborhood, Lake Hammock Village has the privacy of a gated entrance. 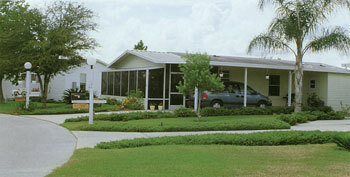 The community is located in a natural country setting among the rolling hills of central Florida. 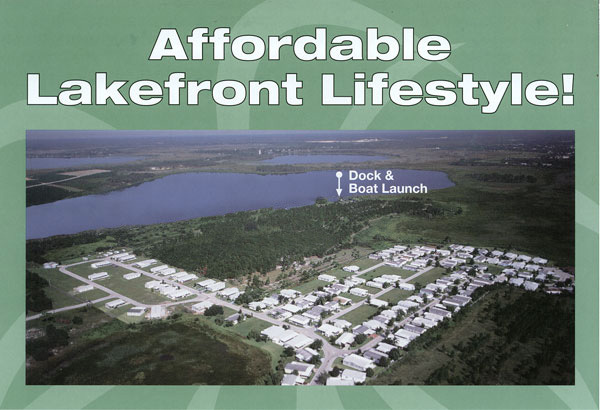 Lake Hammock Village is located in the center of many recreational activities. There are 22 churches in Haines City and six golf courses within 10 miles. The community has a shopping center and a bank within 1/4 mile—a great advantage for those who do not drive. The Eagle Ridge Mall, with major department stores and specialty boutiques, is 12 miles away. Excellent medical facilities including the Heart of Florida Hospital and Heartland Medical Center are only three miles away. Other outstanding hospitals in the area include the Watson Clinic and Lakeland Regional Hospital just 23 miles from the community. Just six miles south of I-4 on U.S. 27 in Haines City.